Ended his collegiate career at West Virginia, playing his final two seasons for the Mountaineers while racking up 152 tackles (113 solo), 14.5 tackles for loss, nine passes defensed, four forced fumbles, a recovery, four sacks and three interceptions. Posted 94 tackles (66 solo), 7.5 tackles for loss, seven passes defensed, two forced fumbles, a sack and three interceptions in his senior season for the Mountaineers in 2017. Spent the first two years of his collegiate career at Lackawanna College, ending his Falcons tenure with 71 tackles, 3.5 tackles for loss, 10 passes defensed, four interceptions and two fumble recoveries. Led the Falcons to an 8-2 record as a sophomore in 2015, culminating in first-team All-Northeast Football Conference and PrepStar Junior College All-American Honors. 2017: Started all 13 games, totaling 94 tackles (66 solo), 7.5 tackles for loss, a sack, two forced fumbles, a recovery, four passes defensed and a team-high three INTs…His 94 stops were good for second on the team…Ended the year with three-straight 10-plus tackle performances…Posted a career-high 13 tackles against Utah in the Heart of Dallas Bowl, including a sack and 1.5 tackles for loss…Accolades: Earned second-team All-Big 12 recognition…Recognized by SBNation as honorable mention All-America. 2016: In his first season at West Virginia, started all 12 games he played in while missing one with a hand injury…Totaled 58 tackles (47 solo), seven tackles for loss, four sacks, five passes defensed, two forced fumbles and a recovery…Made the first start of his career against Missouri, recording seven solo stops and a tackle for loss…Posted a career-high two sacks, five tackles and the first forced fumble of his career at Texas…Accolades: Second-team All-Big 12 by ESPN.com. 2015: Totaled 37 tackles, two tackles for loss, three INTs, seven passes defensed and two fumble recoveries in his second season at Lackawanna College…Led the team to an 8-2 record…Accolades: First-team All-Northeast Football Conference…Named to ESPN’s JuCo Top 50 prospects…Rated by Scout.com as a four-star recruit following his career at Lackawanna. 2014: Registered 34 tackles, an INT, three passes defensed and 1.5 tackles for loss as a freshman at Lackawanna College…Accolades: Third-team All-Northeast Football Conference. HIGH SCHOOL: Played at Emmaus (Pa.) High, helping lead the team to the playoffs in three of his four seasons…Was a team captain and earned first-team All-Lehigh Valley Interscholastic Athletic Conference as a senior…Led the LVIAC in tackles his senior season…Two-time Athletic Director’s Honor Roll…Played WR and S while seeing action at RB in short-yardage situations. PERSONAL: Given name Kyzir Rasim White…First name is pronounced kai-ZEER…Born in Allentown, Pa. …His brother, Kevin, plays WR for the Chicago Bears and was selected by Chicago with the No.  7 overall pick in the 2015 NFL Draft out of West Virginia…Played the 2016-17 seasons at West Virginia with his other brother, Ka’Raun, who was signed by Seattle following the 2018 NFL Draft…All three of the brothers played at Lackawanna College before transferring to West Virginia…His sister, Kiyae, plays basketball at Auburn…Was high school teammates with San Francisco RB Joe Williams…Provided instruction at youth football camps while in college…Earned a degree in multidisciplinarystudies from West Virginia. 2018 Selected by Los Angeles Chargers in the fourth round (119th overall) of NFL Draft, April 28…Signed rookie contract, May 11.